With his hit single "Easy Fi Get " on the Billboard Riddim still making waves in the Dancehall, Alliance recording artist Iyara is this week releasing his brand new single entitled "Sell Me Out" on the market. 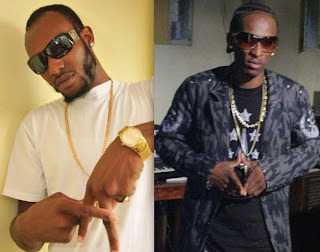 The new song which features singjay Marlon Binns was produced by Unruly Productions and according to Iyara is expected to do well in other markets. "Well "Sell Me Out" is a nice reggae tune, I wrote the songs and decided to bring Marlon Binns in on the project because I believe he has really good vocals. The final mix for the song came out this week and its an exclusive single that talks about fake friends who sell out, something I'm sure everybody can relate to". With dancehall artists now changing gear in preparation for the summer season new projects for Iyara include a soon to be released song called "Me She Want" which features Ishawna on the Style Dem Riddim and also "Nah Suffer Fi Ever" on the State A Urgency Riddim. In other news Iyara is slated to perform on this years staging of Bling Dawg Summer Jam set for the 10th of July.